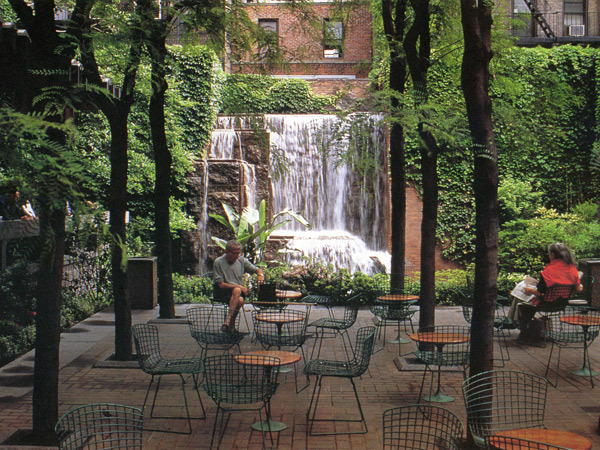 Designed by Sasaki, Dawson, DeMay Associates with Masao Kinoshita as lead designer and Hideo Sasaki and Tom Wirth involved, Greenacre Park opened in 1971 as a “vest pocket park,” offering New Yorkers an intimate urban park experience. 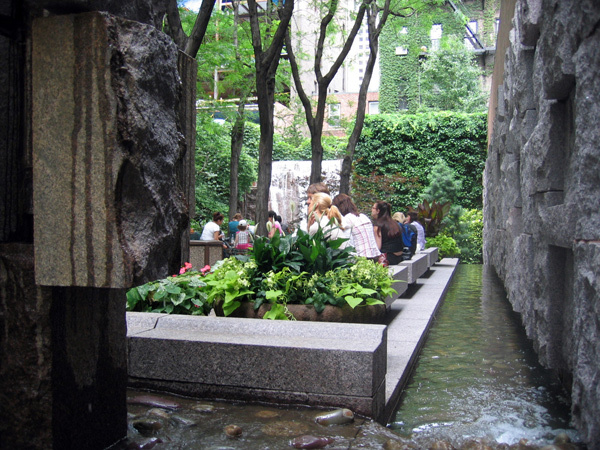 Following the model of nearby Paley Park and privately funded and maintained by Abby Rockefeller Mauze’s Greenacre Foundation, this small site, roughly 60 feet wide by 120 feet deep, conveys an impression of far greater size through a series of well-defined, separate spaces, lush planting, textural variation, and the dramatic use of water. 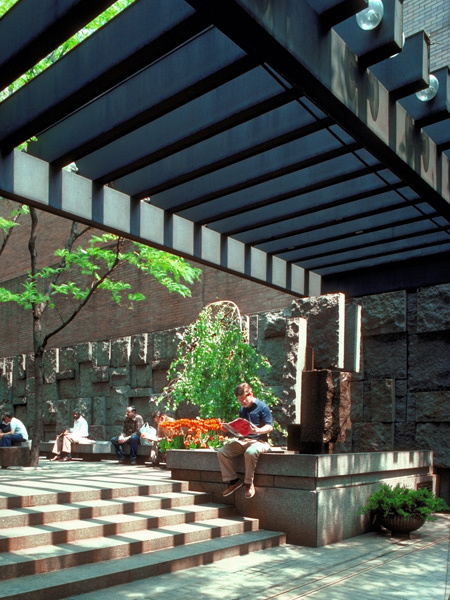 Separated from the street by trellis-covered steps, the first terrace is shaded by honey locusts and introduces water first as a fountain and then as a runnel, collecting trickles of water from the base of the highly textured ashlar masonry of the east wall. The dramatic 25-foot-high cascade fountain in the rear sunken terrace is the culmination of the garden, open to the sky and set off from the other terraces by lush evergreen plantings. 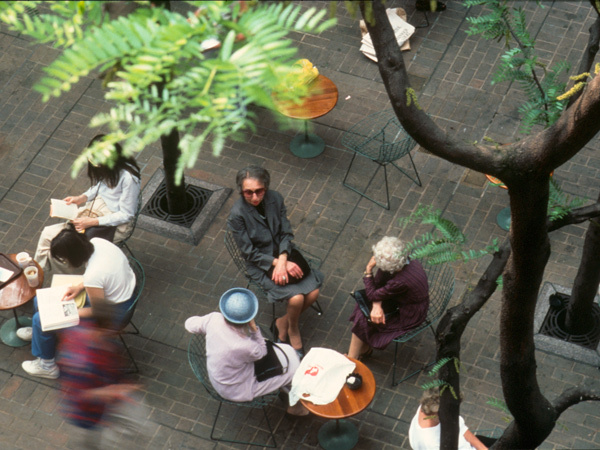 On the west side, a higher terrace, covered by trellising and acrylic domes, provides a protected overlook down into the garden. Throughout the garden urns of annual flowers offer seasonal color and movable furniture provides flexible use of the park’s terraces. 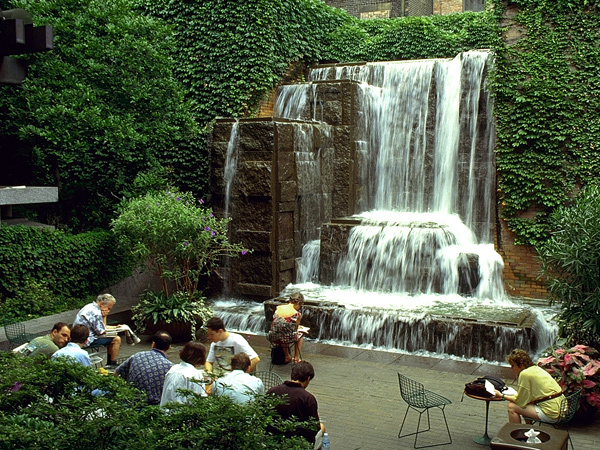 Greenacre Park was listed in the National Register of Historic Places in 2018.